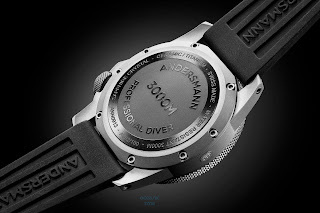 If there’s one thing we like more than dive watches at OceanicTime, it’s deep divers, that is to say, dive watches with high-levels of water-resistance. 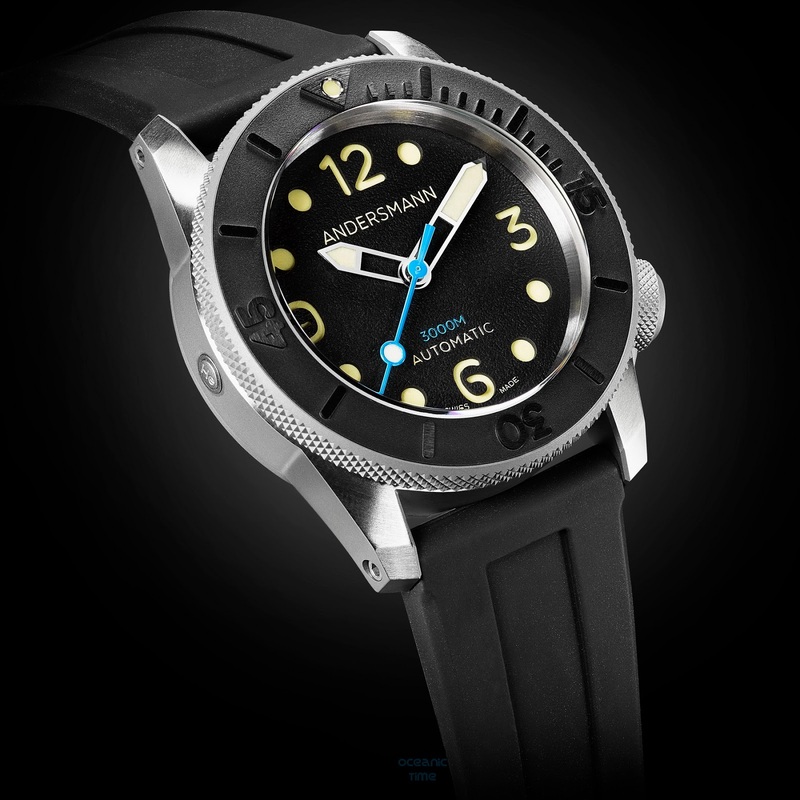 This is the latest to join their ranks, the new Deep Ocean from Andersmann, a mechanical wristwatch with a water-resistance of 3000 meters. And while 3000 meters of water-resistance is no mean feat. , the Deep Ocean is so much more than its depth-rating; it is the sum of a whole host of carefully and tastefully chosen parts and spec. and when you’re told that Grade 2 was specifically chosen for its aesthetic appeal – well that’s most like a load of old cobblers. Grade 5 is far more durable than other grades of Titanium, and as such is much more expensive to machine. 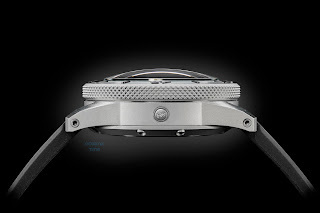 Rolex chose Grade 5 for the 3900M DEEP SEA’s caseback, not Grade 2! The Deep Ocean’s Grade 5 Titanium case has a diameter of 47mm, a thickness of 17.6mm, a lug-lug measurement of 56mm and a lug width of 26mm. 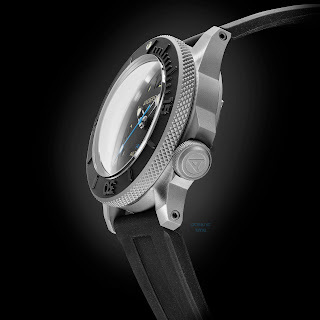 a Helium Escape Valve at 9 o’clock signed ‘’He’’ the chemical symbol for Helium, and a unidirectional rotational divers bezel. This divers bezel puts me in mind a little of the DWATCH OceanicTime – only rather than a simple matte finished PVD coating, it has a high-tech matte ceramic insert. It’s very nice! 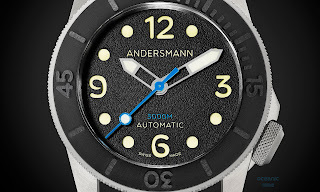 Then there’ the Deep Ocean’s texturized sandwich dial that is somewhat reminiscent of the SEA HAWK II PRO, which was actually the first ever production mechanical dive watch with a 3000 meters of water-resistance. 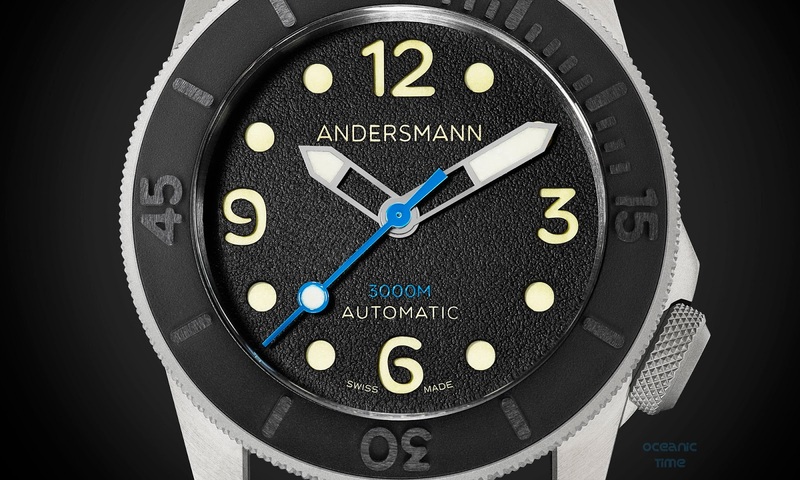 This is complimented by an ocean-blue, lollipop-style seconds indictor and matching 3000M text – the icing on the cake! I do like it when there’s continuity of design such as the Clous de Paris (if you’re posh or otherwise, knurled) grip used for the bezel that was carried over to the crown. I also like the little ‘’He’’ on the Helium Valve – yes, Panerai and Omega have been doing this for some years but it’s nice to see smaller Swiss brands also paying attention to those tiny details. 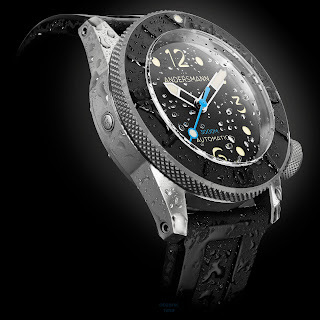 Powering the Deep Ocean is a Swiss automatic movement, the ETA 2892-2A. 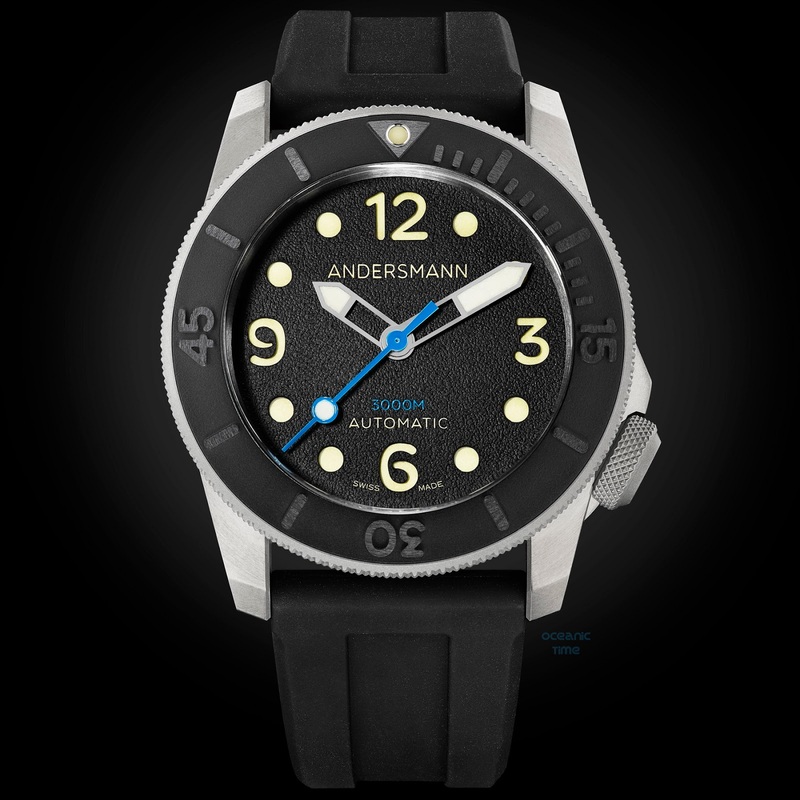 Keeping it firmly secured to your wrist is a high-quality texturized black rubber divers strap, embossed with the Andersmann logo. 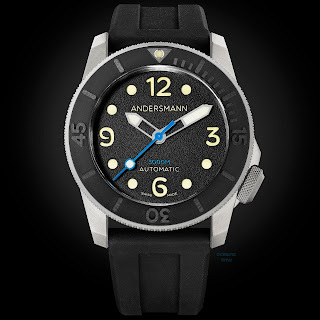 The Andersmann Deep Ocean is available to order direct from the Andersmann online store HERE, priced 2380CHF which includes FREE Worldwide Shipping and 2 additional straps; one extra rubber and one Italian leather..